A mate invited me to go for a hunt and said there are some opportunities to ping a deer with a bow which I have tried on and off to do for a while. Friday night after work and off we go, getting to the property he shows me around a bit before it gets dark. The first clearing and bugger me there are four deer standing there about 60yds away. With all our hunting gear still in the wagon and me thinking holy s@&t what a spot. Saturday morning and I get up to have a leak I look up and see two deer feeding on a different clearing but I’m not sure if that is part of the property we are on, mate surfaces from his tent and I asked if they are fair game and he says yep but they had fed their way into the bush by then. After breakfast I have a few shots with the bow and away we go, as we walk along the farm track he is telling me about the deer he has seen here and along further how he has seen them there. I’m scanning everything that could possibly be a deer and he is just walking along casual as. Once my heart starts beating again we talk about what could of been, it’s still early enough so we carry on. We bumped another deer 100yds around the face which could be one or a three but we will never know. As we round a corner I spy two more deer up on a grassy bench, my mate says go for it so the stalk is on. I start heading up the face and as I get closer slow down to snails pace, a check of the breeze and it’s good so carry on up only to spook some bloody cattle, this bow hunting thing just isn’t panning out so well at this stage. I drop down and we meet up and follow a bit of a track around a bit further, the track dropped down towards a stream and as we walk along I see a grey goose, is this on the hit list and there is a definitive yes I sneak in in 30yds draw and let the arrow of death on its way only to see it hit the dirt an inch under it’s bum, didn’t allow for the down hill shot, bugger. We carry on around the track to what he says is probably the last decent bit for a deer for the morning, I walked along looking through the Binos and can’t see anything thing. We pretty much had pulled the pin and my mate says we may as well go a bit further and I’ll show you the boundary when up pops a spiker from the reeds 30yds away I was not at all ready for that and watch as he runs away, let’s head back for lunch was the call. Back at the tents and we dry out a bit of gear in the sun have a fed and a snooze in the afternoon sun. 5 o’clock rolled around pretty quick and we gear up for another look, my mate says bow or rifle and this time the rifle wins. 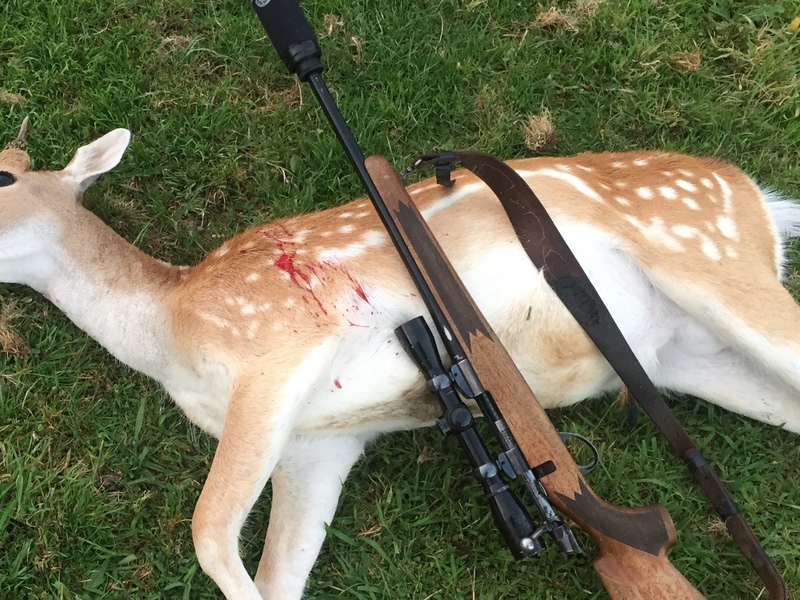 As we walk along the track up jumps a doe from the scrub on the side and does the fatal look back, crosshairs on head and the 308 doesn’t muck around. I cut the head off before the photo as it was a bit messy. My mate carried on while I dealt to the deer. I caught up to him at the given arranged position and we glassed but nothing, I suggested we move around the corner and have a look at the grassy bench from the morning. As we rounded the corner we spooked a deer in the fern we followed it and my mate is up with his rifle and bang we have number two. The decision to head back for an early tea and look for the four deer from the first night was voted in. 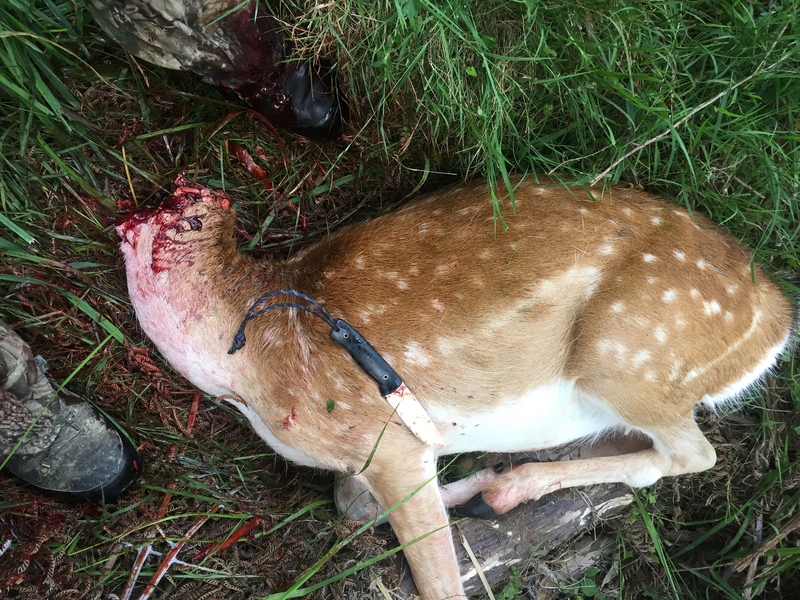 We start to head back and only gone 300yds before I spy another spiker out in the open, closing to gap and I lost sight of him only to see he has fed along about 50yd. I lie down but the hump in the ground was a bit bigger than I thought so sneak in a bit closer and the 308 does the rest. My mate started back to camp while I dealt to deer number three. I got back to camp but the four amegos didn’t show from the night before. A late tea in the end once I got back to camp. This morning I got up to see if the two deer I had seen from the morning before were out but no go. I started on breakfast and looked up to see that the deer had come out for a graze, walked over to my mates tent and said are you awake yet, yep was the answer. Well you better come and shoot one of these deer then, we stalked into about 50yds and my mate smacked over his second deer. So we had an awesome trip into the promised land with four deer for our troubles. hillclima, jakewire, Wildman and 26 others like this. Nice one sure is the promised land. Good hunting, a few deer around. It is bloody hard getting them with the bow. 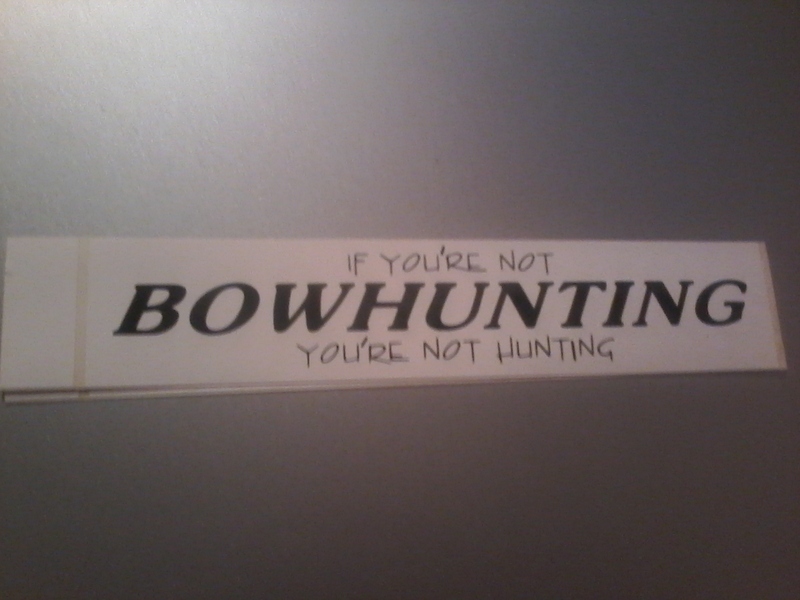 I hunted with one for a while, shot 1 deer and a few goats, but gave it away as too much hard work. Sounds like a mint spot. Good place for a bow. Plenty of animals around by the sounds of it, maybe next time with the bow. Atleast you got some on the ground though.